Our method at Marga Yoga is mostly influenced by the great master B.K.S. Iyengar, emphasizing on correct alignment, symmetry, and balance. Iyengar introduced the use of props (blocks, chairs, straps, blankets) so that trainees could fix their posture and support their body during the different asanas. He delved into the therapeutic properties of the asanas which is why his techniques help eliminate pain and cure many diseases. Iyengar is the master who managed to teach a way of working with the spirit through working with the body. At Marga Yoga we work on techniques by Iyengar and other masters, such as Vanda Scaravelli and TKV Desikachar. However, classes are primarily structured according to the instructor’s internal guidance inspired by the energy of the group during class. 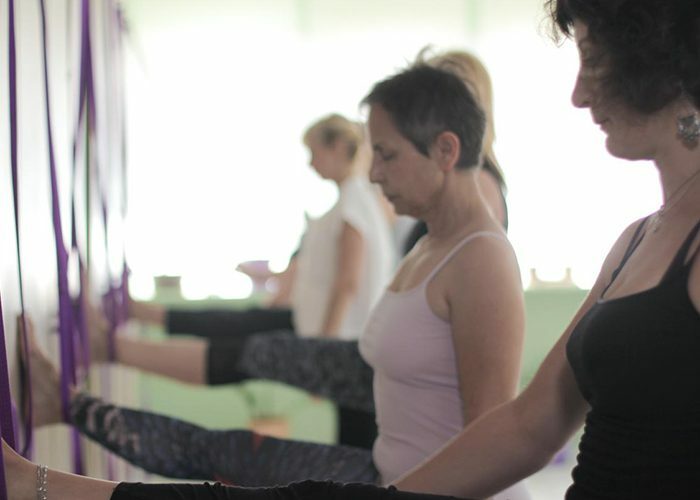 This way, our method at Marga Yoga aligns the mind, the body and the soul with the present moment, allowing the trainees to get exactly what they need at that specific time, and letting the body and spirit assimilate all its positive effects.